A new opportunity exclusively for Wales YFC members has been launched to encourage the next generation of pig keepers. Following the success of Wales YFC’s initiatives such as their lamb and beef schemes, pigs is next on the agenda for Wales’ rural voluntary youth organisation. The application window has now opened and 4 finalists will be selected and will be provided with 5 weaners each. Competitors will also have the opportunity to take part in an exclusive carcase competition later in the year. Support and training will be provided to develop the skills required to establish, manage and develop this new venture. From practical advice on rearing through to business skills such as marketing, these transferable skills gained will be valuable and applicable to any on-farm enterprise. “Menter Moch Cymru is delighted to be working with Wales YFC to provide this unique opportunity,” said Melanie Cargill, Menter Moch Cymru Project Manager. Pigs can be kept in various management systems ranging from indoor to outdoor. Many farms already have suitable general-purpose buildings or land that are currently being under-utilised that could be easily converted for pig keeping with little capital investment. Therefore, providing an alternative income and enterprise on farm. 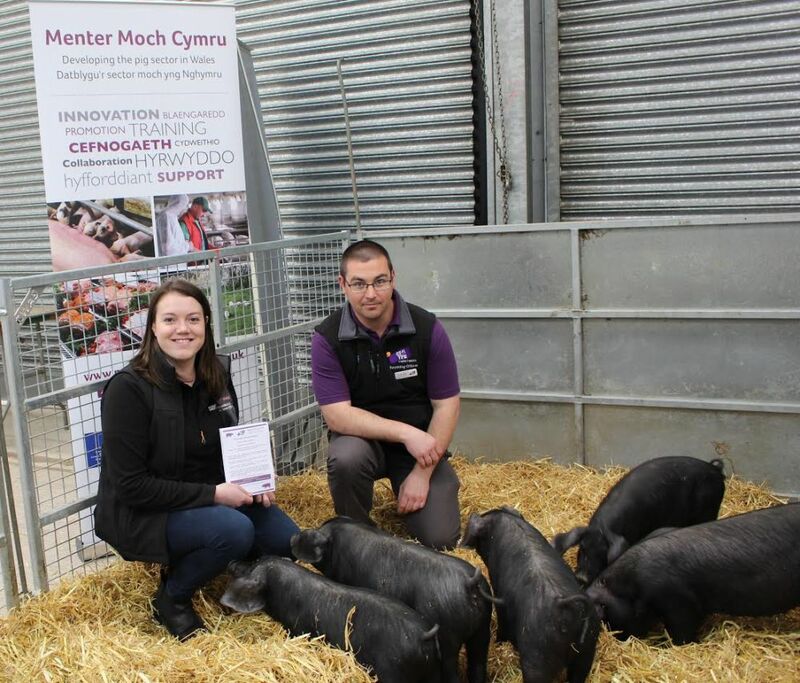 Arwel Jones, Wales YFC Chairman noted: "The project provides a great opportunity for young farmers to get their foot on the industry ladder and to be involved with the development of the pig sector in Wales.